CBS News and National Journal today are announcing a Republican presidential debate to take place on November 12 at 8 p.m. ET. It will take place at Wofford College in Spartanburg, S.C. and will be moderated by CBS Evening News anchor and managing editor Scott Pelley and National Journal congressional correspondent Major Garrett. The debate, the first on broadcast television, will focus primarily on national security. 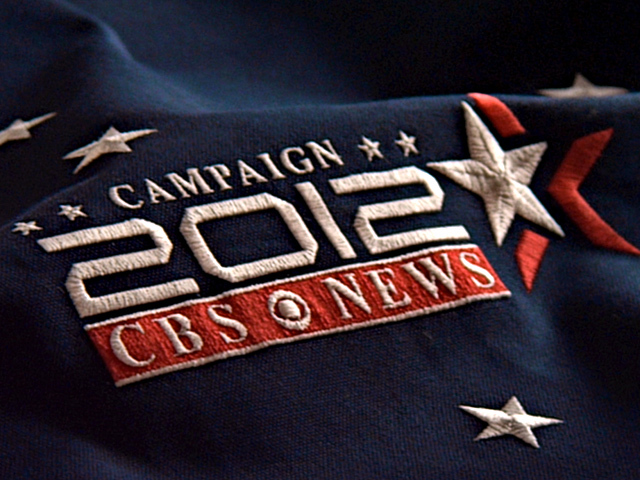 CBS News and National Journal will present the first Republican Presidential Primary debate on broadcast television on Saturday, November 12. David Rhodes, President, CBS News, and Ron Fournier, editor-in-chief of National Journal, announced the debate today, which will focus primarily on national security and will be held in conjunction with the South Carolina State Republican Party. Scott Pelley, anchor and managing editor of the CBS EVENING NEWS WITH SCOTT PELLEY, and Major Garrett, congressional correspondent for National Journal, will moderate the debate, which will be hosted by Wofford College in Spartanburg, South Carolina. The 90-minute debate will begin at 8:00 PM ET/5:00 PM PT. The first hour will be broadcast live (8:00-9:00 PM, ET/5:00-6:00 PM, PT) on the CBS Television Network. Additional portions will be broadcast on FACE THE NATION, CBSNews.com, NationalJournal.com and will be available to CBS affiliate television and radio stations. "The first debate of the campaign on broadcast television will be on CBS," said Rhodes. "Scott Pelley and all of us at CBS News look forward to a spirited discussion of the issues with all of the Republican candidates in Spartanburg next month." "This debate will examine the critical questions of America's role in the world, now and in the future," said Fournier. "National Journal is proud to build on our 2012 election partnership with CBS News to give voters a thorough understanding of how each of the Republican candidates would take on these issues." "The South Carolina Republican Party is excited to be a partner on the first nationally televised, broadcast network debate of the Presidential Primary season," said Chad Connelly, Chairman, South Carolina GOP. "Presidential candidates and Republican activists across our nation know South Carolina's historic tradition of successfully choosing the Republican nominee, a tradition uninterrupted for over thirty years. We look forward to the November 12 debate on Wofford College's beautiful campus and continuing to demonstrate that in South Carolina, 'We Pick Presidents.'" "In politics, everyone aims to be a winner, so, given our tradition of athletic success, Wofford College is an encouraging location for a presidential candidates' debate. And given our national leadership among foreign study programs, we're a logical place in which to hold discussions on the subject of national security," said Dr. Benjamin B. Dunlap, President of Wofford College. "Most significantly, it's our institutional dedication to 'the unfettered pursuit of knowledge' that makes us such an appropriate host as we welcome the candidates to our beautiful and historic campus." During the Republican debates that have been held to date, the candidates have sought to define themselves against each other and President Barack Obama. The CBS News/National Journal debate will reveal the candidates' views on wide-ranging foreign affairs topics, such as the wars in Afghanistan and Iraq, the changes throughout the Middle East, Africa, and Asia, and the global war on terror. CBS News is the news and information division of CBS Corporation, dedicated to providing the best in journalism under standards it pioneered at the dawn of radio and television and continues to set in today's digital age. Headquartered in the CBS Broadcast Center in New York, CBS News includes bureaus across the globe and influential, critically acclaimed programs providing newsmaking features and interviews, investigative reports, analysis and breaking news 24 hours a day, seven days a week. CBS News utilizes a multi-platform model for news distribution across television (CBS Television Network), radio (CBS Radio News), the Internet (CBSNews.com) and hand-held devices (CBS Mobile). CBS News' multiple award-winning programs include 60 MINUTES, THE CBS EVENING NEWS WITH SCOTT PELLEY, THE EARLY SHOW, 48 HOURS MYSTERY, FACE THE NATION and CBS SUNDAY MORNING. With up-to-the-minute breaking news and analysis at NationalJournal.com, the essential intelligence of National Journal Daily, the knowledge and depth of National Journal magazine, and the comprehensive campaign coverage of National Journal Hotline, National Journal is Washington's premier source for 360-degree insight on politics and policy. Wofford College (www.wofford.edu), established in 1854, is a leading independent liberal arts college of 1,550 students located in historic Spartanburg, S.C. Wofford consistently ranks among the best national liberal arts institutions in guides such as U.S. News & World Report, Forbes and The Princeton Review. The college ranks 9th nationally in undergraduates receiving credit for study abroad. Wofford's historic 175-acre campus is recognized as a national arboretum.